Did “Prickly” Waxman Settle for M St. after Being Spurned by K St.? This blog venerates former Rep. Henry Waxman (D-Beverly Hills), despite the fact that his position was opposite of ours on pretty much every energy/environmental policy ever. Though I disagree with him on everything, I admire Waxman because he is so damned smart and effective. Here’s the Waxman I know through observation. For starters, he showed up to every Energy & Commerce Committee hearing. If you occasion these sorts of things, you’d know that congressional attendance is terrible, yet Waxman would show up even to hearings convened by E&C subcommittees on which he wasn’t a member. (The only other Members of Congress I know of who do this are Sen. Ed Markey and Rep. Darrell Issa). 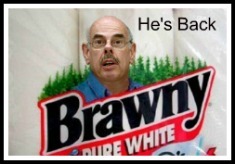 And wherever Waxman showed up, he was supremely effective. He’d ask the toughest questions, blunt the opposition with procedural mechanisms, and generally control the proceeding–even if he was in the minority. To my knowledge, Waxman was the finest practitioner of parliamentary hand-to-hand combat (although I’m too young to have witnessed Rep. John Dingell in his prime, and I understand he was something to behold). Unfortunately, environmental policy was Waxman’s bailiwick, and no one benefited more so from his acumen than the green movement. So when I heard that Waxman, upon retiring at the close of the 113th Congress, wrote and circulated a business plan to all the top lobbyist outfits in D.C., I would have thought that he’d have immediately fielded a number of offers at an annual salary that K St. normally reserves for just-retired Senators (~$1 million). I thought this for two reasons: (1) Waxman is a master of congressional process; (2) the green movement, his closest ally, is spending evermore on elections and lobbying. However, after a month of lobbying on behalf his own employment, Waxman chose to work with his son at Waxman Strategies, which is a much smaller firm whose offices are on M St, rather than the more prestigious K St. location. According to media accounts, Waxman himself rebuffed other opportunities, because he didn’t want to deal with the “morass” of big time lobbying. But I wonder whether Waxman really rejected K St., or whether K St. rejected him. Perhaps I’m reading too much inbetween the lines, but I take former Rep. Walsh’s quote to mean that Waxman’s business plan met with a tepid response from K St. In fact, there’s a logic here: K St. is built on backslapping, which is usually how politicians get things done. But Waxman got things done with his big brain, so he eschewed networking. Ergo, he is a poor fit for lobbying. In any case, it will be VERY interesting to see whether Waxman Strategies on M St. becomes the go-to lobby shop for the greens. Based on Waxman Strategies’ website, former Rep. Waxman will take up a newfound passion for online gambling. Perhaps he’ll soon get to renew his passion for terrible environmental policy.